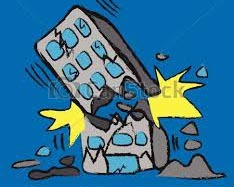 PUNE: on the background of increasing slab collapse incidents, in the early morning today at least three labourers were killed and one more seriously injured after the slab of an under-construction building collapsed in Pune’s Dattawadi area. The accident happened around 10:30 am. The group of four labourers were working on the 7th floor of an under-construction building which was a project by Pate Developers, a city-based construction group. Suddenly the slab collapsed. The labourers came from Jharkhand to work in Pune on construction sites. The incident has brought into sharp relief yet again the pressing issue of labourers’ safety measures on construction sites. The deceased have been identified as Prakash Saav (26), Dulari Paswan (28) and Midhun Singh (22). The fourth labourer, Ramu Pawan (24), suffered serious injuries and is undergoing treatment at a local hospital, said Dattawadi police. “The labourers were doing their routine work when the cement slab of the seventh floor collapsed. All three were killed on the spot,” informed Anil Patil, senior police inspector, Dattawadi police station adding that the police are investigating the matter and that contractors and project owners were being investigated to ascertain who was responsible for the tragedy. It is not known whether the labourers were wearing safety harnesses while working at that height.